B. Thomas (Arlington, Texas, United States) on 12 February 2019 in Lifestyle & Culture. 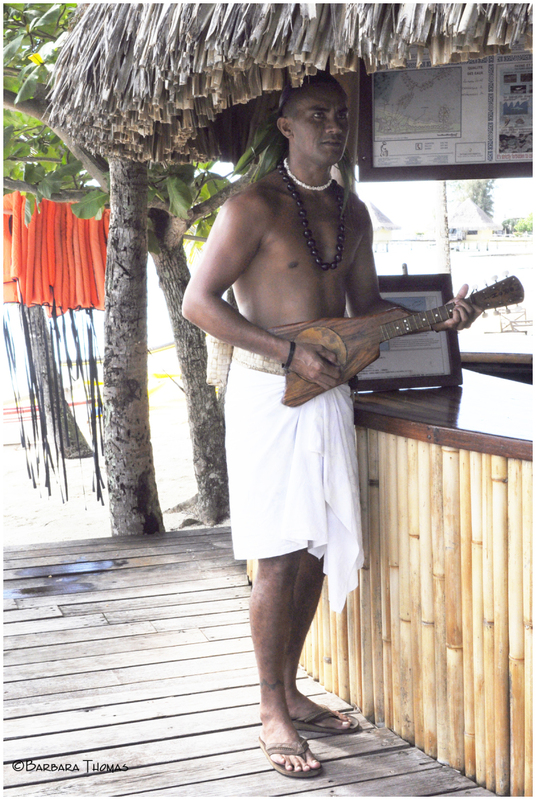 This young man was working in a day-trip kiosk on the beach, but when he was not busy, he played and sang to himself. He sang a fun little song for me. Singing and playing is the most common language in the world that can bring joy to yourself and others. You can make music anywhere, anytime, nice picture. Does it have 8 strings ? It is not an ukulele. I wish I could hear his music. A superb portrait. Just love that guitar. wonderful capture..He must have sung nice tune to the strum of that instrument..looks like a ukulele...Hope you enjoyed he whole thing! I a fascinated by his instrument! Superb portrait of him playing ! A neat beach portrait of this fellow. Un musicien avec un instrument très curieux. Je suis sûr que la chanson sonne bien. How nice to be serenaded! i'm guessing they're hand made by a local, perhaps? @sherri: Thanks. That would be my guess, but I don't know for sure. A wonderful portrait. I like the instrument that he is playing. It sort of resembles a ukulele.